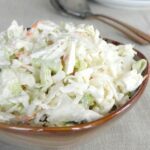 This low carb horseradish coleslaw is easy to make and is the perfect side dish and party table recipe. Woohoo! We’re finally starting to get settled in our new house and I can begin proper cooking again! In a way it’s sort of fun to take a break and make do with “fridge surprise”, but I miss the planning and knowing I’m going to eat something balanced, nutritious, and of course, low carb! This horseradish coleslaw is all those things! I’m afraid that I still “cheated” and bought a bag of pre-made slaw mix – it’s mostly cabbage with a little carrot. But I think I’m forgiven! To make the coleslaw dressing, add mayo (full fat for zero carbs), prepared horseradish, salt and pepper to a bowl and mix well. Chop up some green onions and add them to the cream mixture along with the slaw mix. Stir well. Taste for seasoning and horseradishy-ness (technical term). Add more if it isn’t strong enough; add more mayo (or even heavy cream or sour cream) if it is knocking your socks off with a single bite! I love having a dish of this in the fridge ready to go – not only does it get better after a few days, but it is the perfect side dish to so many meals! In a large bowl, whisk together the mayo, horseradish, salt and pepper. Add the chopped green onions and the bag of coleslaw mix and stir until vegetables are coated. Taste for seasoning, adjust as required. Love this with the horseradish! 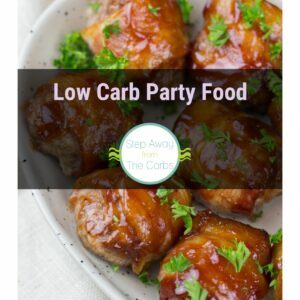 Sharing on The Low Carb Test Kitchen Facebook page today. 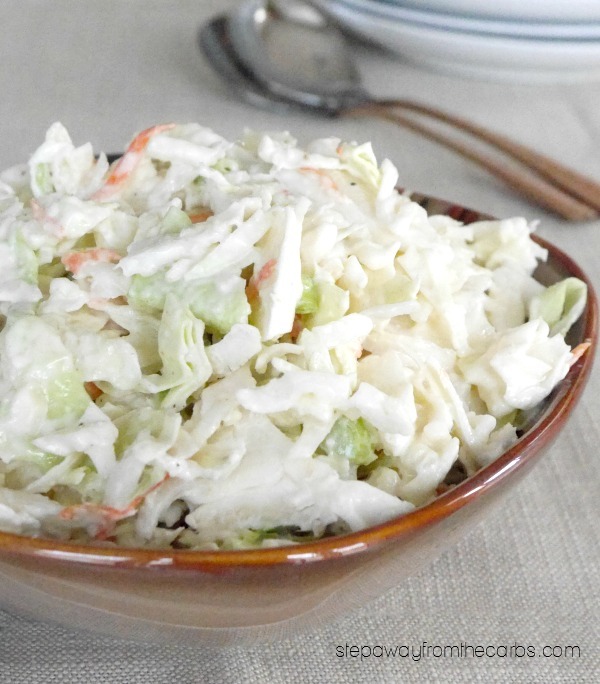 This is our new favorite coleslaw! Even our carb eating friends love it. Thanks for the recipe. Thanks Melody, I’m so pleased! How many servings did you use to calculate the carbs for this recipe? The whole recipe contains 6 servings. Enjoy!